How do we define the Inland Northwest's unique food identity? Does the region even have one? Or are we simply lumped in with the greater swath of the Pacific Northwest, where coffee and seafood have long reigned supreme? 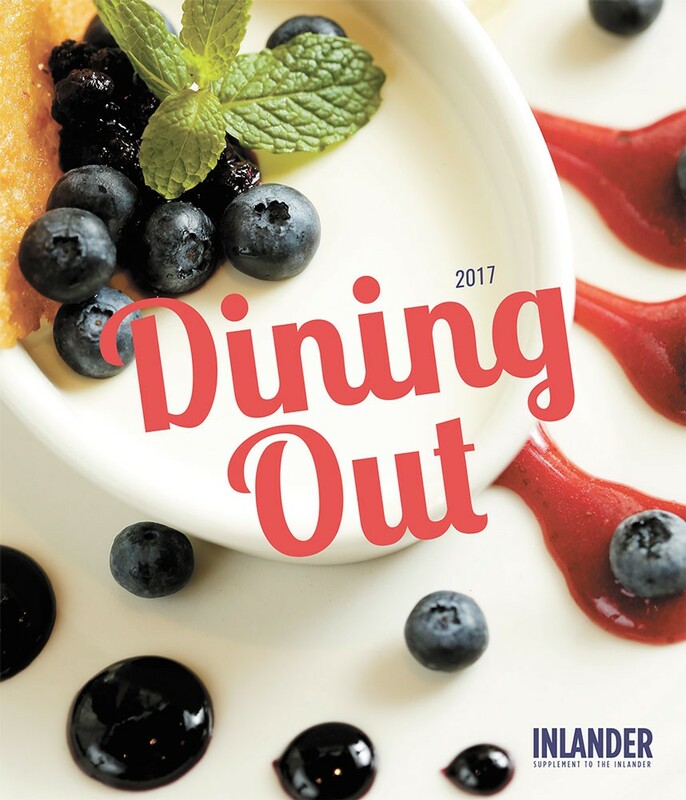 As we set out to compile this year's fine dining issue, these are the questions we hoped to answer as we ate our way around some of the region's most esteemed local- and chef-owned restaurants. The best starting place, we thought, would be to zoom in on some of the most famous and prolific crops of Eastern Washington and North Idaho — crops that may also be (and are) cultivated in other parts of the world, but that have specifically and historically shaped the culture, cuisine and economy of the Inland Northwest. This meant that grass-fed beef was off the list (cattle is a big industry in the West, yet it's not exclusive to our part of the country), but that apples — Washington state's No. 1 crop — were on. So were some of the region's most iconic native foods: freshwater fish like salmon and trout — once the main source of protein during long winter months for Native tribes — along with the elusive wild huckleberry and highly sought-after species of forest mushrooms. We also wanted to showcase some of the region's largest vegetable crops, including potatoes, onions and the diverse legume family's chickpeas, lentils, beans and peas. Of course, no culinary profile of the Inland Northwest would be complete if we didn't also celebrate the grapes, hops and malting grains that go into the award-winning craft beers and wines putting us on the world map. See? There are plenty of foods that set us apart from any other place in the world, a fact that any of us should toast to next time we're dining local and savoring this region's incredible bounty.